Poultry Shorts > Advertisers > Why Do Hatching Eggs Need Care? Fertilization takes place at the top of the oviduct shortly after the yolk is released from the ovary. The yolk then passes down the oviduct. As it does so, the outer layers of the egg are laid down, and the fertilized germinal disc grows and develops. By the time the egg is laid, it contains a germinal disc that has been growing for 24 hours as the egg is formed around it ..
After the egg is laid, it must be cooled to suspend any further development until the egg is set at the hatchery. The care given to hatching eggs has to meet the needs of these dormant (but living) embryos. The egg components surrounding them have to be maintained in good condition. Uncontrolled fluctuations in egg store temperatures will cause stop-start growth of the germinal disc, which will reduce hatchability. Recent studies have shown that if eggs are to be stored for more than a week, it can be beneficial to warm them up to incubation temperature for short periods during storage. THE EGG’S PROTECTION SYSTEM: The egg provides a multi-layered system of protection from microbial contamination. 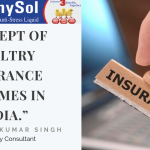 The cuticle, eggshell, shell membranes, and some of the proteins in the albumen act as either physical or chemical barriers to prevent microbes from gaining access to, and growing in, the egg contents. The shell of the egg is a porous structure. Pores run from the surface right through the shell. These pores are needed to allow oxygen into, and water and carbon dioxide out of, the egg as the embryo develops. The entrance to the pore on the eggshell surface is protected by the cuticle. The cuticle is a thin protein coat that allows gases, but not micro-organisms, through. This coating provides the egg contents with some protection from microbial penetration. However, the cuticle does have one point of weakness. Immediately after the egg is laid, it is still not completely formed (this is why the shell surface looks wet and under magnification, it has an open, sponge-like appearance). The cuticle hardens to a flatter, flake-like surface within 2-3 minutes of the egg being laid. Until this process is complete, it is easy for microbes to penetrate the cuticle and then pass down the pores and into the egg. Understanding the structure of the eggshell helps to explain why certain procedures used on the farm to clean eggs can make contamination problems worse. For example, if slightly soiled eggs are buffed or scraped to remove the surface dirt from the shell, some of the dust that this produces will be packed into the shell pores and block them. Blocked pores will impair gas exchange, and as a result, limit the oxygen available to the developing embryo. More importantly, pores blocked with contaminated material will increase the risk of contamination. In addition, buffing or scraping the shell surface will remove the protective cuticle, making it easier for bacteria to enter the egg. Contamination problems can also be made worse if the eggs become wet after collection for any reason. The liquid will run into the pores of the shell, carrying any bacteria on the shell surface with it. This is especially likely to happen if the egg contents are cooling. Cooling creates a partial vacuum within the shell, making it more likely that any surface liquid (and microbes) will be drawn in through the pores and is why condensation on the eggshell causes so many problems. Eggs should be maintained in a clean state between lay and packing. Methods used to remove surface dirt should be gentle so as not to damage the cuticle or block the egg shell pores. Condensation on the egg surface should be avoided as it can lead to contamination problems. Manage the flock to minimize the number of eggs laid on the floor. nests and collection belts should be brushed clean at least once a week and checked for dead birds daily Collect nest eggs a minimum of 4 times a day, adjusting the exact timings so that no more than 30% of the eggs fall in any one collection (any more will increase the incidence of dirty or cracked eggs). The majority of the eggs will be laid in the morning and collection intervals should be managed accordingly. The nests and egg collection belt should be cleared at the end of the working day to minimize the number of eggs left over night. Collect floor eggs separately. They should be collected as often as possible (more often than nest eggs) and should be kept separately from nest eggs so that the hatchery can manage appropriately the contamination risk they present. Monitor the numbers of the floor and dirty eggs and adjust management factors to minimize them . If eggs are being packed straight on to setter trays, select and pack the eggs immediately after each collection. If eggs are to be boxed, they should be cooled to egg store temperature prior to boxing. Reject small eggs (minimum weight will be an economic decision), cracked or damaged eggs, eggs with gross shell abnormalities, double-yolk eggs, soft-shelled eggs, and any eggs that are more than 25% covered with dirt or droppings (or exceed levels of soiling stipulated by hatchery or regulatory requirements). Record numbers rejected in each category and monitor them. Avoid wet egg disinfection methods – fumigation with formaldehyde is best. If eggs do become wet, let them dry before fumigating them or placing them in a cold egg store. Immediately after each tray of eggs is packed, place it in a rack in the egg store. Trolleys should be packed from the bottom up. This order of packing will avoid re-warming cooled eggs by placing warmer eggs beneath them in the trolley . Once an egg trolley has been placed in the egg store, it should stay there. Fill a partial trolley by taking trays of eggs into the store to finish loading, not by taking the trolley out of the store. Eggs or trolleys should not be wrapped in plastic until they have cooled to egg store temperature. Fumigation with formaldehyde remains the most effective (and preferred) method for disinfecting the shell surfaces of hatching eggs. Provided fumigation is performed correctly, it achieves excellent kill rates of micro-organisms on the shell surface without wetting the shell, damaging the cuticle, or damaging the embryo inside the egg. Despite its effectiveness, some countries now prohibit the use of formaldehyde because of the potential risk to human health and safety if it is not used correctly. Follow the appropriate safety precautions when using formaldehyde. Always adhere to local rules governing the health and safety of farm workers when using formaldehyde. Fumigate eggs with formaldehyde at least once before they leave the farm. Make sure that the eggs are well separated on the plastic egg or setter trays; cardboard tends to absorb the gas. Ensure the fumigation room is well sealed during fumigation and allow at least 20 minutes for the gas to circulate after it has been generated. Heat 43 ml formalin (37.5%) per m3 (1.5 oz per 11 ft2) of fumigation room. Ensure room temperature is a minimum of 24°C (75.2°F). Ammonia can be used to neutralize the formaldehyde before the cabinet is exhausted. Run a circulating fan during fumigation to help circulate the fumigant gas between the eggs; switch the fan off before exhausting the formalin at the end of the disinfection period. Make sure that all the gas is completely exhausted from the room before workers re-enter to move the eggs. This step is less urgent if the gas is neutralized first, but should be re-checked periodically using an appropriate meter. Where formaldehyde fumigation is not permitted due to local health and safety regulations, alternative methods of disinfection need to be found. Many alternatives to formaldehyde have been tested over the years. 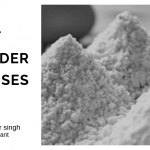 All have disadvantages, and most have to be used with the same due care and attention to operator safety as formaldehyde. 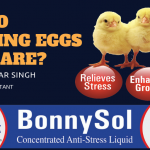 There are many products sold as being suitable for disinfecting hatching eggs (including hydrogen peroxide, peracetic acid, quaternary ammonium and chlorine disinfectants). 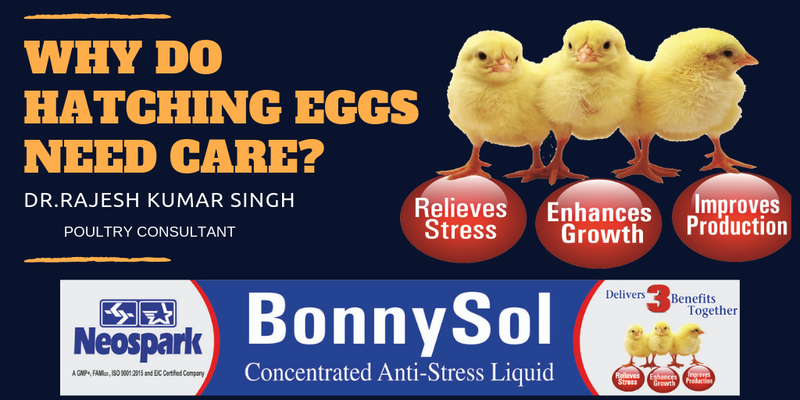 Before implementing any new method or chemical for disinfecting hatching eggs, it is strongly advised that their effectiveness is thoroughly tested, making sure to closely follow the advice of the equipment and chemical suppliers. • The eggshell bacterial counts before and after treatment. • Egg content bacterial counts after treatment. • Impact on cuticle cover (which can be seen under UV light). Hatchability tests should involve at least 1,000 eggs per treatment group, split from a single collection of eggs. Half the eggs should be treated according to current methods, and the other half by the proposed new treatment. The test should be repeated over a range of flock ages and egg storage durations. Provided any surface dirt is not extensive, it can be removed by gently flicking the dirt off with a fingernail, or for soft droppings, by gently wiping off with a clean paper towel. Care should be taken not to contaminate clean parts of the egg. The eggs should then be disinfected (ideally by fumigation with formaldehyde) and sent to the hatchery clearly marked as dirty. Use a washer that sprays the eggs with warmed disinfectant solution, rather than one that relies on the eggs being immersed in the solution. Wash water should be 41°C (106°F) to ensure that the wash water is always warmer than the warmest eggs in the collection. Record and monitor the process, taking care to monitor temperatures and the frequency with which the washing water is changed. Make sure that the disinfectant concentration does not fall below the recommended minimum effective concentration level and that the washer solutions are replaced after each batch of eggs to maintain disinfection concentration. Allow the eggs to dry before they are cooled in the egg store. Fumigate washed eggs when they are dry. After the egg is laid, it should be cooled so that the cellular growth of the embryo is suspended. Ideally, hatching eggs should all be set within 7 days of lay. Storage for longer than 7 days will result in a loss of hatch due to embryo cell death and a decline in internal egg quality, especially albumen quality. When longer storage is unavoidable, a cooler storage temperature will help to keep the yolk and albumen in good condition. Keep egg temperature constant once the eggs are cooled and watch for variable storage temperatures throughout the day and when doors are left open. It is important to coordinate temperatures with those used in transport to, and storage at, the hatchery. This will avoid fluctuating temperatures and condensation. Storage temperatures need to be set at a level that will maintain internal egg quality and keep the dormant embryos alive – long storage should be at lower temperatures than short-term storage . On farm storage temperatures should be managed so that the temperatures are adjusted when the average storage duration changes. Keep the farm store 2°C (4°F) warmer than the hatchery store, with the truck temperature intermediate between the two. This will help to avoid any condensation forming on the eggs. Do not blow cooler or heater fans towards eggs. The eggs do not need a sequence of different temperatures at the hatchery. For example, if a batch of eggs is to be stored for 14 days, embryo survival will be best if they are held at 15°C (59°F) or less for the whole storage period. For storage over 14 days, 12°C (54°F) can work well, but only if great care is taken to avoid condensation when eggs are moved to a warmer environment.